The new Bursa metro revives the memory of the ill fated "Chemin de Fer Moudania Brousse", a narrow gauge line that once existed in Bursa. This short line was another project initiated by the Ottoman Government in the 1870s in an attempt to establish railways without granting concessions to foreign companies. 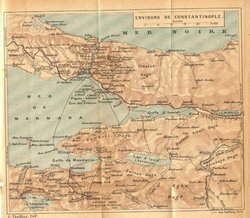 On 14th August 1871 the government authorised the construction of a railway from Mudanya, a port on the Sea of Marmara, across the fertile coastal plain to the provincial capital of Bursa. Later, the concession was extended to Bozüyük. The construction work was at first undertaken by the government itself but was frequently held up for lack of capital; in 1874 it was taken over by two French contractors who pushed the line forward and reached Bursa, a distance of 26 miles, the following year. The extension to Bözüyük, 31 miles west of Eskisehir and later a station on the CFOA, was never built, and the completed section remained unopened. It is alleged that the locomotives were of the wrong gauge and that the track was badly laid and distorted by frost during the severe winter. The Yorkshire Engine Company 0-6-Os delivered to this line were apparently 1100 mm gauge, but what the original gauge of the line was, if it was different from this, is not known. However that may be, on 2nd January 1891 George Nagelmackers paid £27,000 for the existing track and materials, and undertook to open the line. 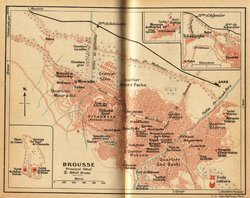 In August he formed the Chemin de fer de Moudania-Brousse, the Société des Batignolles rebuilt the line to a gauge of one metre and on 17 July 1892 it opened. If the CFOA had used its concession to build a branch to Bursa, the Mudanya-Bursa Railway might have been more prosperous; but as things were, it was never more than a barely profitable local railway. It was taken over by the TCDD in 1932 and was closed by 1948. This 42 km line ran from the Mudanya harbor where the train offered direct connection with the boat from Istanbul. The line ran on the east of the (modern) road and entered Bursa from the east after passing Çekirge. The line ran around the northern side of Bursa and the terminal station was located next to crossing of Mahmudiye Caddesi and Inönu Caddesi. This location was conveniently chosen to extend the line towards Bözüyük. 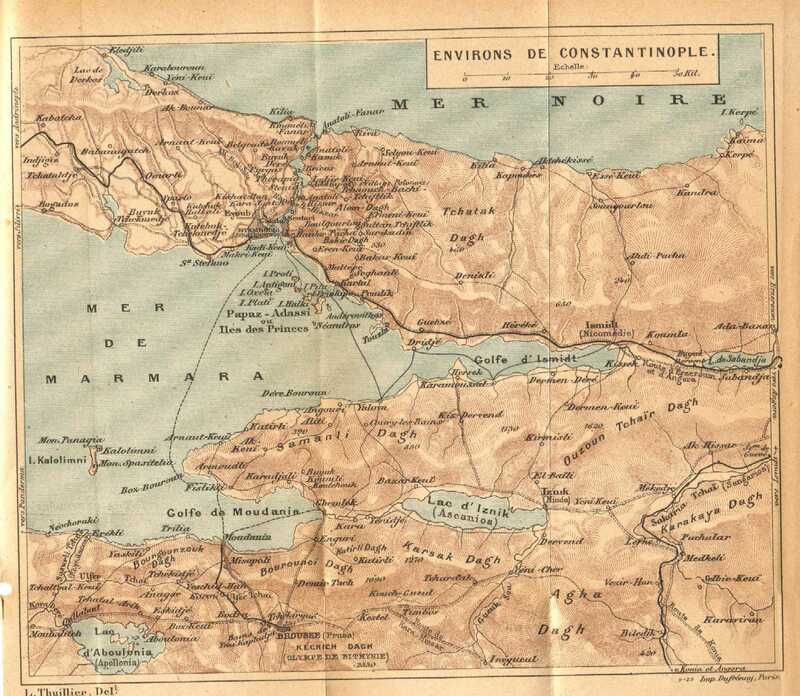 (See the 1911 maps of Bursa in the maps section). This maps shows the location of the terminal station. 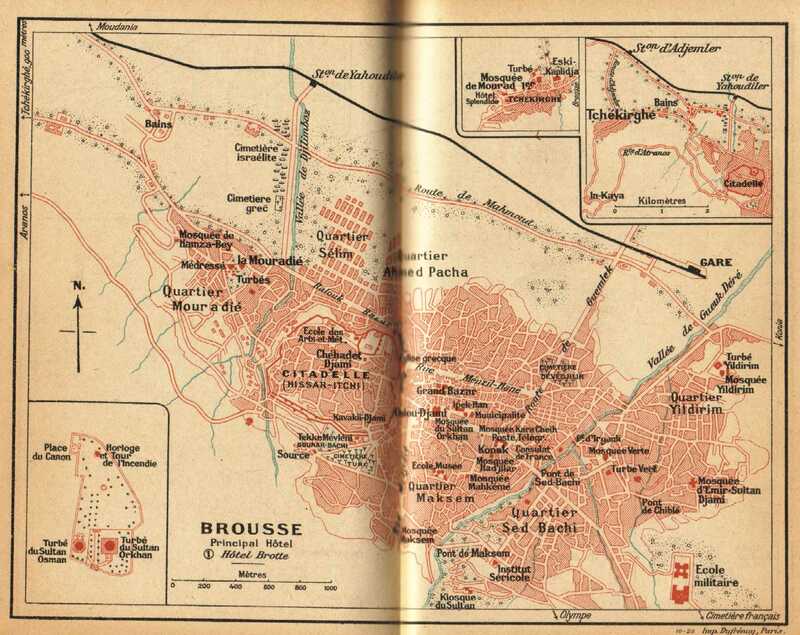 The Bursaray now rebuilt is only a distant cousin of the Moudania-Brousse Railway. Since 1948, Bursa grew very much and increased its position as one of Turkey most industrial city. Bursaray is not going as far as Mudanya, however some of its alignments in Bursa are not far from the old line. Bursaray is in fact getting nearer to the city center thanks to a tunnel. In 2008, Bursarail ordered 30 Flexity Swift tram from Bombardier. Each set is 28m long, 2,65m wide and has a capacity of 60 sitting passengers and 227 standing.